There are innumerable amounts of malwares lurking around the internet. Do you think one single anti-virus can protect you from all of them? Think again! A lot of viruses bypass the protection softwares and affect your systems gravely. There are hardly any changes you can observe with some malwares. 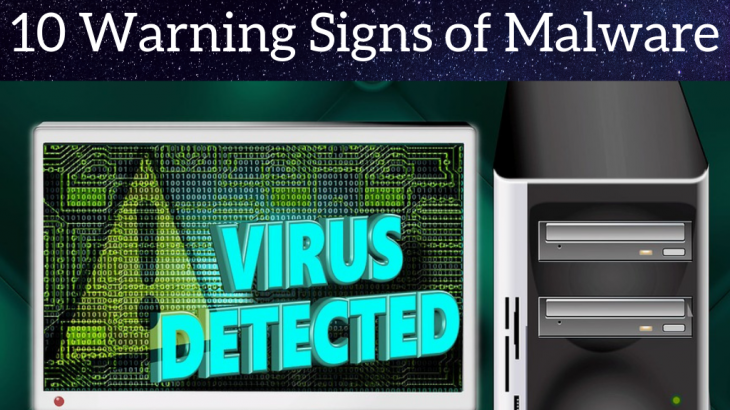 But fortunately, here is a list of 9 signs you can keep a check on, to see if your machine is infected by any malware. If your system is crashing frequently to the terrifying blue screen of death, it is a major red flag of something dangerous. If your system is running extremely slow and you are not running any heavy applications, chances are that the system is infected by a virus. After booting itself, while you have not yet opened any programs, if your hard drive is being extensively used, it is a sure shot sign of a malware on your machine. Many malwares show themselves in the form of popups about irrelevant or unwanted sites. This is a sure cause of any virus on your system. If you learn that your system firewalls or your antivirus is disabled often, this can be a recurring act by one of the malwares on your machine. This is a very common tool in market to spread malware programs. They hide themselves in a fake security tool and spread once permitted. If you are getting security alerts on your machine from some software you never installed, this may be the case. If you observe sudden increases in internet traffic, it may very well be the doing of a malware in order to make your machine an active botnet. If there are auto-created shortcuts on your desktop, it may be the malware creating the lookalikes. And if you click on them, the malware would actually get installed on your system. If someone is receiving strange emails from your ID, there is a high probability of your system being compromised. If you are unable to access Control Panel with an error of permission denied, it is an indication of your system being under wrong-hands. Despite of being well aware of all the possible ways of being attacked, hackers come up with new ways daily in the market. It is a best practice to be updated with the latest cyber security news and softwares.